Having a BMW is a source of pride for many car owners, thanks to the brand’s iconic style and reliability on the road. However, because this is a specialty brand, you have to make sure that any repairs and maintenance you do is specific to BMW. 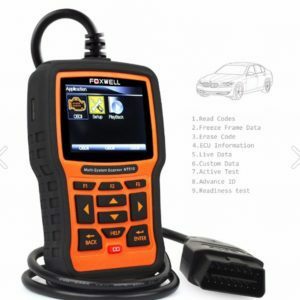 One of the best ways to monitor your car’s health is with an OBD2 scanner. Since 1996, this system has been the gold standard for all auto manufacturers, meaning that you can diagnose issues and reset your check engine light. ​Today we’re looking at the best OBD2 scanners for BMW. Since each automaker has proprietary codes for their onboard systems, it’s essential that you have access to them. These scanners are your best bet for keeping your vehicle in pristine condition. When you’re checking out different OBD2 scanners, many of them are designed to work with a wide selection of car brands. While this helps if you have a generic vehicle, specialty manufacturers like BMW have different codes than most other automakers. Let’s take a look at some of the features you can expect from this scanner. Thus, having something like this scanner from Carly is better overall because you don’t have to sift through dozens of other makes and models to find what you need. Although this system does work for Renault, Mercedes, Porsche, and Toyota, it’s much easier to diagnose your BMW. If you find a cheap OBD2 scanner, you’ll have to connect it to the car manually via a cable. While this may not be a big deal, it does mean that you have to keep the cable handy and only check your vehicle when you’re parked and in the garage. With this wireless adapter, you can keep the scanner plugged in at all times. That being said, there is a slight chance that it will drain the battery (typically if you leave it unattended for several days), so keep that in mind. The wireless connection also means that you can monitor your car from your iPhone or iPad. This way, you can check up on it wherever you are, since your scanner is always in your pocket. Also, installation is such a breeze, as all you have to do is download the app and sync the devices together. Technically speaking, you have to purchase the Carly app to use this scanner, which is sold separately. However, the Pro version is usually best if you’re trying to perform preventative maintenance by yourself. If all you want to do is see what’s wrong with your vehicle and run a check-up every once in a while, then the Lite version of the app is more than sufficient. For BMW owners who just want to be in touch with their cars, this is an excellent way to do so. Best of all, the app is updated automatically. That way you can be sure that you’re always ready to go, even if you switch to a newer make and model. Overall, the ease of use is the best thing about the Carly system. Also, if you do upgrade to the Pro version, you’ll get a lot of features that will help you keep your BMW in good shape. Installing and syncing the app is relatively easy, although there are some minor complaints from users that they may not synchronize correctly the first time. Still, we appreciate that monitoring your BMW is as easy as checking your phone, which you’re already doing anyway. The company is based in Germany, which means that any customer support issues can be tricky to handle. Also, it seems like it can take a while to get the answers you need. Another issue we don’t like is that this app is not available for Android users. If you have an iPhone, then great. If not, then you’ll have to look for something else. 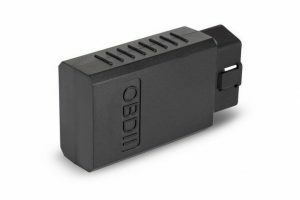 As we mentioned, most OBD2 scanners are designed for all makes and models of vehicles out there. This unit from Autel is one of these, meaning that you can get diagnostics for a broad range of cars and trucks. Overall, this system is designed for professionals, so you get a full suite of services that will allow you to keep your BMW in pristine condition. However, if you aren’t in the market for something so comprehensive, it may be too much to sift through, so keep that in mind. The first cool thing about this scanner is that it comes with its own tablet. Rather than using a computer or your smartphone, you get a proprietary piece of equipment to monitor your vehicle. This is both a good and slightly bad, however. The reason we like it is that all of the apps are pre-installed, so you don’t have to worry about syncing. The negative aspect, however, is that Autel is not a tablet maker. Thus, this device may be slower and more glitchy than if you used an iPad or something similar. Still, it works, and it offers a lot of features for the price, so we believe that you can get a lot of use out of this system. With most scanners, you can only diagnose problems when your check engine light comes on. However, with this model, you can check your vehicle while it’s running, meaning that you can check on things like power and performance. The benefit of having this feature is that you can track your car’s performance over time and make adjustments as needed. Also, since this system monitors other aspects of your vehicle (like oil and tire pressure), you can stay on top of these things much easier. Finally, because newer BMW models have an onboard computer, you can access and make adjustments to the ECU with this scanner. If you want to maximize your car’s performance, this device will enable you to do that quickly and efficiently. Overall, if you’re planning on monitoring and improving your BMW, then this is an excellent system to have. However, if you’re more passive and just want a way to see what’s wrong before you take it to the mechanic, it’s probably more than you need. The tablet itself isn’t as reliable as if you downloaded the apps onto a computer, so that can be annoying at times, especially if you have to reboot it often. Also, it can take a while to sort through all of the makes and models available, so that can slow you down as well. For the most part, OBD2 scanners are handheld devices that plug into your car and tell you what’s wrong with it. This model from Foxwell operates the same way, but because it’s designed for BMW, it’s better than most other scanners out there. One of the best things about this device is that you can get access to OBD1 codes as well as OBD2. The original version works on BMWs that were made after 1987, so if you have a more “classic” model, you aren’t out of luck. While accessing older codes is nice, you can still get free updates so that if you have a brand-new BMW, you’re covered as well. Although OBD2 scanners are designed to check your drivetrain (anything covered by the check engine light), this one can also monitor other systems, such as tire pressure, oil levels, and brakes. Having access to all of your vehicle’s systems means that you can do more to keep your BMW in top condition. Rather than having to take it into the mechanic when a different light comes on, now you can see what’s up beforehand. The other reason why having access to other systems is excellent is because you can monitor them in real-time as well. Run your car and see how it performs so that you can make adjustments as needed. Maintaining your BMW has never been easier. Although the size of the screen on this model is not as ideal as checking from your smartphone or tablet, we love the portability of this device. Also, it has many more functions than most OBD2 scanners, making it a better option for any BMW owner. To get it up and running, you may have to download software to the device, which can be a little annoying. Also, there can be times when the system malfunctions and you have to reset it so that it will work properly, although that’s pretty rare. This scanner is ready to go out of the box. No syncing, no downloading, and no updating required. You can plug it in and see what’s happening with your BMW as soon as it arrives. If you’re looking for simplicity and efficiency, this is the best deal for your money. As we’ve mentioned, it’s usually better to get a scanner that works for your automaker specifically. The reason we like this option is that you don’t have to spend so much time searching through different makes and models to find the right one. Also, this system will work for all BMWs, although you will have to buy an adapter if your car was made before the year 2000. Overall, if you’re just looking for a way to check codes and reset lights, then you’ll appreciate the portability and simplicity of this scanner. Simply look up what’s wrong, reset your check engine light, and take it in if necessary. Because this system is so simplified, it doesn’t have the same functionality as other scanners. Those who want to monitor other systems or check real-time performance will be out of luck. Also, the screen is pretty small and hard to read at times. Our final model is another simplified OBD2 scanner. This model is only ideal for those who want to be able to check their codes on a bigger laptop screen, rather than a small device. Otherwise, this unit doesn’t offer much beyond simple check and reset options. This unit comes with an installation CD and a USB cord, so you should be able to get it up and running on your laptop. Setting up is relatively easy if your computer is compatible, although you may have to contact support to make sure it’s all working properly. 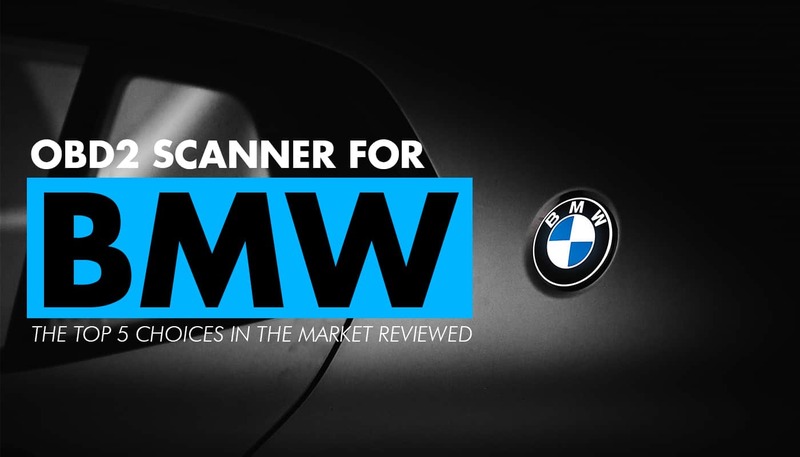 The best thing about this scanner is that it’s designed solely for BMW. Thus, looking up codes is a breeze because there aren’t any others from different brands on here. The latest version of the software is available and free to download. If you have a newer BMW, you’ll have to use this version to check your car. The company also provides free updates. This is not really an ideal OBD2 scanner, so we only recommend for people who want a simple way to check codes. Also, make sure that the installation CD will work on your computer before connecting it to your car. The software can be buggy at times, and it may not work on your computer. Also, the instructions can be hard to follow since they’re translated from Chinese. Since we’re focusing on OBD2 scanners that are best for BMWs, we have to say that the Carly is the ideal choice for any BMW owner. This small and convenient device gives you the power to diagnose and reset engine lights in the palm of your hand. This is the easiest and most effective scanner around, which is why it’s our top pick.